Skopje – A small, poor and landlocked country, Macedonia has struggled for more than a quarter of a century to win recognition for its name despite protests from neighbouring Greece. 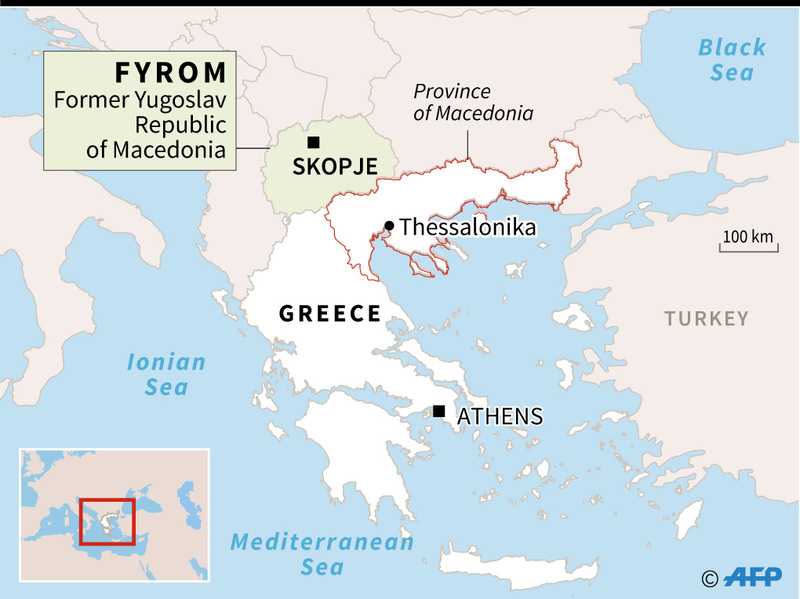 Athens objects to its northern neighbour’s name because it has its own province called Macedonia, and it accuses Skopje of encroaching on its territory and cultural heritage. 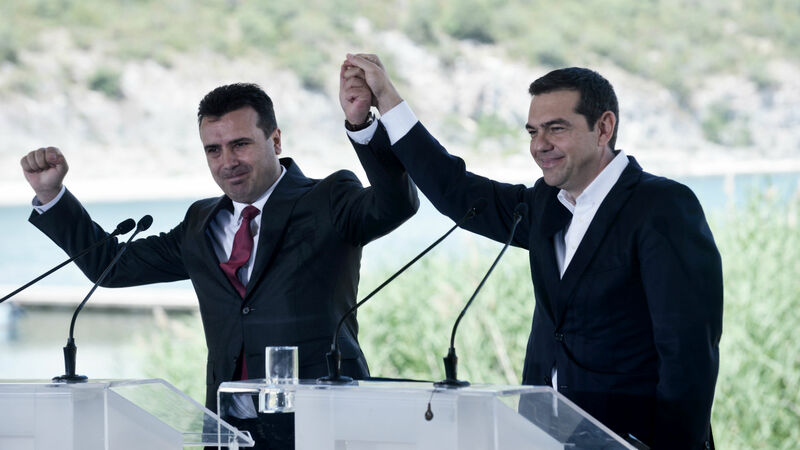 Greece has used its veto to thwart Macedonia‘s progress in NATO and EU accession talks, but in June the two neighbours reached a compromise: ‘The Republic of North Macedonia’. On Sunday Macedonia’s citizens will vote on whether to approve the renaming. Here are five things to know about the Balkan state. Macedonia‘s official name at the United Nations is the Former Yugoslav Republic of Macedonia, or FYROM, the result of its 27-year-long row with Greece. 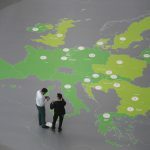 A number of countries have recognised the Balkan state under its constitutional name of Macedonia, including the US, Russia and even China, but not the European Union. Macedonia is home to around two million people, mostly Orthodox Slavs and an ethnic Albanian minority that makes up around a quarter of the population. Passing through the northwest of Macedonia, a traveller might think they were in Albania. Under a 2005 accord, residents have the right to fly the red and black Albanian flag and the two headed-eagle is prevalent in a number of villages. Having avoided inter-ethnic war during the bloody break-up of Yugoslavia in the 1990s, Macedonia found itself facing conflict in 2001 when ethnic Albanian rebels launched an insurgency. Up to 200 people were killed during the seven-month conflict with Macedonian armed forces. 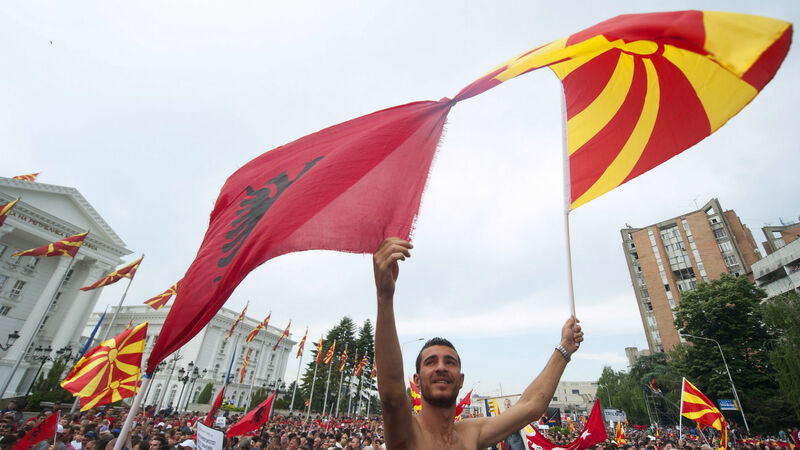 The internationally-brokered Ohrid agreement, reached in August 2001, provided greater rights for Macedonia‘s Albanian minority, including power-sharing, better representation in the public sector and official status for the Albanian language. 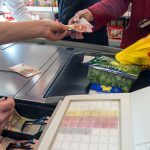 Macedonia is one of the poorest countries in Europe with an average salary of 400 euros ($470). A quarter of its active working age population is unemployed. Youngsters are particularly badly affected and many have emigrated. Authorities do not have official figures on emigration and have not organised a census since 2002, but according to the World Bank about a half a million Macedonians — or a quarter of the population — are living abroad. Two historic personalities make Macedonians especially proud: Mother Teresa and Alexander the Great. Both, however are disputed, with Mother Teresa also claimed by Albania and Alexander by Greece. Although Mother Teresa was born in Skopje under the Ottoman Empire, she was of Albanian ethnicity. The national flag is a stylised yellow sun on a red field. Macedonia boasts 280 sunny days a year, according to the Meteorological Institute. However, Macedonia is the European nation that produces the least solar energy: 0.04 percent of total production, says the Agency for Energy. The mountainous country is a paradise for hikers with three national parks, 50 lakes and thousands of kilometres (miles) of trails. Its cuisine — a mix of Ottoman, Mediterranean and Austrian-Hungarian influences — is reputed to be among the finest in the Balkans. As is its wine.